Magnificently shot and incredibly mounted with the perfect balance of every technical element that it takes to make a great action film,”Mission Impossible – Fallout” – the sixth edition of the series, is the best of the lot ever since it started twenty-two years ago. Like the previous five editions, this one too highlights the mission of IMF agent Ethan Hunt portrayed by the ever-green action star Tom Cruise. Christopher McQuarrie who had helmed the previous episode – “Rogue Nation”, once again returns as the director of this film and hence one finds a strong bond between the two films. In this narrative, three plutonium bombs go missing and are in the hands of the now terrorist and anarchist- Solomon Lane (Sean Harris), the villain of “Rogue Nation” who plans to bomb the Vatican, Jerusalem and Mecca in Saudi Arabia. He intends to do this to cleanse the world for he believes, “Greater the suffering, greater the peace.” How Ethan Hunt and his IMF team save the Universe from this catastrophe, forms the crux of the tale. Packed with incredible action sequences that include shoot-outs on the streets and fisticuffs in the bathroom of a club in Belfast, running full-speed and jumping buildings in London, escaping through the underground tunnels in speed boats in France and helicopter chases through Asia, the eventuality is predictable. 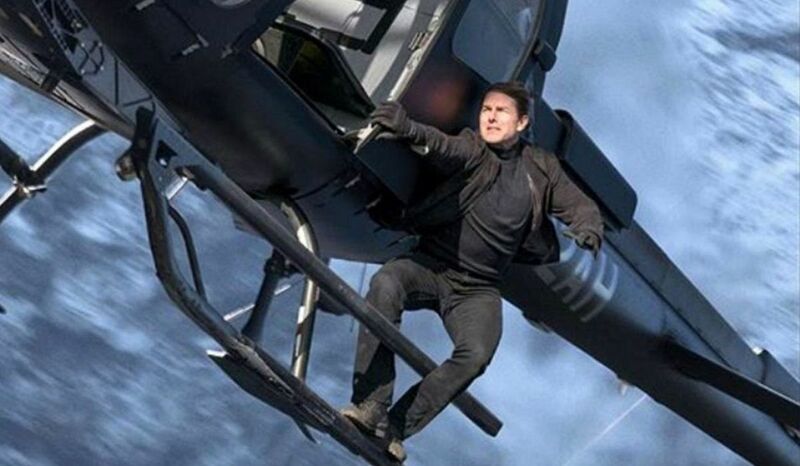 For, Ethan Hunt in spite of being in tight spots, is eventually going to emerge victorious. Despite cinematic liberties, that awareness and the lighter moments that accompany the action sequences, are what keep you hooked. How Ethan gets out of the situation every time is exciting and amusing. But what attracts you the most to the action-spy thriller is the emotional side of Ethan Hunt. He is morally upright and humane. This is blatantly shown when he saves an injured policewoman and when he lets off his wife Julia. And at fifty six, Tom Cruise is fit and agile. He continues delivering terrific and terrifying stunts. His actions are palpable and he makes Ethan relatable purely with his star charisma and effervescent energy that is visible in every frame he is in. Tom is aptly supported by Simon Pegg as Benji the technology wizard, Ving Rhames as Luther the Bomb expert, Henry Cavill as the CIA agent Walker, Rebecca Fergusson as Ilsa Faust a former MI6 agent who joined Hunt’s team during Rogue Nation, Vanessa Kirby as the White Widow and Michelle Monaghan as Ethan’s wife Julia Meade-Hunt. They all shine as they have their moments of on-screen glory. Technically the film is astutely mounted. The action sequences are impeccably constructed and tightly edited to maximum heart-stopping impact. It is exciting to see Cruise dangle from a helicopter and swing on the sharp edges of a rocky mountain with a precarious hook and his bare hands, or tumble in a crashed helicopter. The credit for this goes to Stunt Director Wade Eastwood, Cinematographer Rob Hardy and Editor Eddie Hamilton. And what elevates the viewing experience is Lorne Balfe’s music that accompanies the visuals. Overall, at the end of the two hour twenty seven minutes of run-time, you do not find the viewing exhausting. Instead you pine for more adrenaline pumping action.